Description Keefe at Night is the adult community education department within Keefe Tech Technical School. Professional development and personal enrichment programs across a broad spectrum of topics - including electric code. Open to all adults seeking continuing education. Mike Holt Products Used Curriculum is based on Mike Holt learning system and coordinated with Massachusetts General Law requirements. Description Smith Vocational Adult Community Education (ACE) provides lifelong learners with opportunities to develop hands-on skills and knowledge for employment or just for the fun of it. We offer professional development and personal enrichment programs across a broad spectrum of topics - including electric code and theory. Open to all adults, evening courses for Class A, B, C and D licenses take place Monday - Thursday from 6-9 pm. You can sign up at SmithACE.org. We look forward to seeing you in class! Mike Holt Products Used Mike Holt's Ultimate Training Library coordinated with Massachusetts General Law requirements. Description We are a trade school which offers classes in Westwood and Woburn Massachusetts. The programs offered are basic electricity and Journeyman and Masters as well as Continuing Education Seminars. Description Worcester Night Life is the adult continuing education division of the Worcester Public Schools. We offer professional development and personal enrichment programs across a broad spectrum of topics - including electric code and theory. 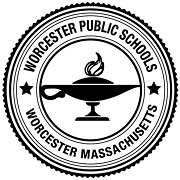 Open to all adults, evening courses for Class A, B, C and D licenses take place Monday - Thursday from 5-9 pm at Worcester Technical High School. You can sign up at WorcesterNightLife.org. Mike Holt Products Used Curriculum is based on Mike Holt's learning system coordinated with Massachusetts General Law requirements.